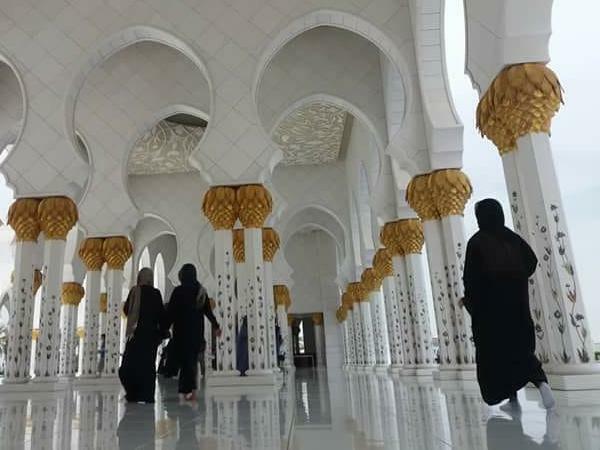 About Maricar D. Message Maricar D.
Abu Dhabi Explore with A Fantastic Tour! Maricar is a dedicated, professional tour guide who imparts a great deal of knowledge about a broad range of subjects with a great deal of care and also some fun thrown in ! We were delighted to have her as our guide in Dubai and Abu Dhabi and recommend her highly. Maricar was wonderful. She not only told us about the areas we visited, but she shared with us what it was like to live in the UAE. She helped us shop and adjusted our itinerary as needed to get us to the best spots and avoid the crowds. We highly recommend ToursByLocals and Maricar specifically. I had a most enjoyable and interesting trip around Dubai. Maricar is a marvellous guide and very knowledgeable. Maricor was great! Pleasant, polite and well-informed. Gave us a great overview of Dubai in the limited time we had available. She was flexible and allowed us to adapt the itinerary to fit our interests. Highly recommend this tour and Maricor! Maricar is an excellent and professional guide, very knowledgeable about Abu Dhabi and it's history. It was a long drive from Dubai to Abu Dhabi and back. In addition to her skills as guide, she is an excellent driver with a roomy and comfortable vehicle. I highly recommend her services as a skilled tour guide. Maricar was prompt, polite, personable, and knowledgeable about Dubai, UAE, and the history of the area. Just what you would expect from a professional tour guide. Excellent English. I would highly recommend her services! She was great. We just had about 4 hours while changing planes in Dubai and she made the most of it, customizing our visit with our preferences. So glad we saw Dubai. Maricar was great! She picked us up from our cruise ship and was willing to tailor the day to be exactly what we wanted. We had already spent some time in Dubai prior to our cruise, so when our cruise came back through Dubai we just had random odds and ends we wanted to do for the day. She was happy to give us a tour of old Dubai, help us purchase spices, etc and then help us find an ice cream shop we had seen online down in the La Mer region. We had a great time with Maricar.